One of the main reasons people lose their teeth is gum recession from poor gum health. The older you become, the more precautions you should take to defend your gum health. Healthy gums are key to keeping your entire mouth healthy. Your gums are the foundation that hold your teeth in. Poor gum health can be linked to systemic health issues, like diabetes, heart disease, and cancer. Brushing and flossing are the main ways to keep healthy gums. However, you should also know how to identify whether your gums are healthy or not. The color of healthy gums can vary from patient to patient. Usually, they’re a bright pink color, but the shade can change from lighter to darker pigments depending on a person’s ethnicity. Healthy gums look taut and curved around the teeth, firmly holding them in place. They also look firm, similar to an orange peel. You also shouldn’t experience unprovoked bleeding, pain, or inflammation with healthy gums. The primary cause of gum disease is plaque buildup. Gum tissue reacts to bacteria buildup by becoming inflamed. Gum inflammation begins when bacteria build up under the gum line. The only way to reverse the inflammation is by removing the plaque buildup. There are quite a few symptoms of gum disease. It typically begins with red and sensitive gums. You might also notice your gums are receding from your teeth. The easiest way to treat gum disease is in its earliest state. As gum disease progresses, it can change the way teeth fit against one another when you bite down. In more advanced stages of gum disease, you may experience pus when objects such as food items or your toothbrush push against the gums. As bacteria starts to colonize, it can also make your breath smell like a sulfurous pit. Diseased gums also tend to bleed when brushing, flossing, or eating crunchy foods. There are many oral health and lifestyle changes you can make to get on the road to better gum health. Stop Using Tobacco. One of the greatest things you can do for all facets of your health is stop smoking. Smoking destroys healthy cell growth and is directly correlated to cancer. These products weaken the immune system and make you more vulnerable to infections. Smoking decreases your blood flow, which decreases the nutrients sent to your gums. Chewing tobacco and e-cigarettes are also negative for your gum health, and can lead to oral cancer and other dental health issues. Floss On a Daily Basis. Flossing removes bacteria and food from between your teeth. When food and bacteria remains between the teeth, it sets the stage for tooth decay and gum disease. The bacteria feeds off the debris, then calcifies into tartar under the gums. When you floss the areas that your toothbrush can’t reach, you’re able to remove bacteria and stimulate the gums on a regular basis before it can harden into plaque. If you don’t like traditional floss, you can try a WaterPik, dental picks, or plastic flossers. While not the best for the environment, flossers are already strung together, so you don’t have to callous your fingers with old fashioned floss. If you have a bigger budget for dental health devices, we recommend water flossers. Water flossers are twice as effective as dental floss at reducing gingivitis. Drink More Water. Drinking water keeps your gums hydrated and also works to naturally rinse away food debris and acid. Not to mention, most public water sources contain fluoride, which is beneficial for hardening teeth. It’s also a good idea to get in the habit of drinking water as a substitute for sugary soda and juices, which are primary contributors to tooth decay. Eat Proper Nutrition. Eating processed carbs and sugar are direct contributors to gum disease and tooth decay. Try switching to a natural diet that’s high in vegetable fiber and protein, while limiting your starch intake. The vitamins and minerals will strengthen your immune system and improve your oral health. Not to mention, vegetable fiber can have a scrubbing effect that stimulates your gums and breaks up plaque. Get an Antibacterial Mouthwash. If you’re already suffering from poor gum health, an antibacterial mouthwash will kill off bacteria in the nooks and crannies of your teeth and gum line. It’s best to use an antibacterial mouthwash after you’ve loosened bacteria from brushing and flossing. Buy a Nicer Toothbrush. If you can fit it into your budget, electric toothbrushes are better for your gum health than old toothbrushes. The vibrations from electric toothbrushes help stimulate the gums to shake bacteria loose. Pay attention to the kind of toothbrush you’re currently using. If you’re using a hard bristled toothbrush, you might want to try switching to a soft-bristled brush instead. Hard bristles can be rough on your enamel and even cause gum recession. Visit the Dentist Every Six Months. 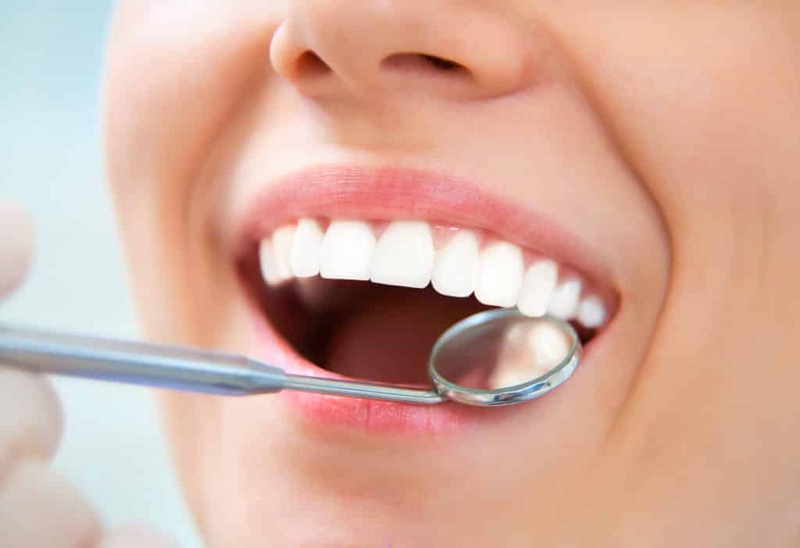 At a routine dental cleaning, your hygienist and dentist will give your teeth and gums a deep cleaning. Professional cleanings get areas under the gums that you can’t get with an old fashioned toothbrush and floss. Your oral health plays an integral part in your overall health. Making it to the dentist for routine X-rays and checkups can help prevent issues in their early forms. With the nature of 9 to 5 work schedules, it can be hard to make it to the dentist every 6 months. Call Marc J. Beshar Dentistry and schedule an appointment today at 212-753-2240.